vaaleanpunaista pitsinnypläystä ja nappikauppaa: Tilda omenoiden kanssa sateessa.-Tilda with apples in the rain. Tilda omenoiden kanssa sateessa.-Tilda with apples in the rain. A wonderful weekend. On Friday, we enjoyed a wonderful friend with a few glasses of wine. On Saturday askarreltiin wonderful friends Himanka, was really nice. The time just went too fast. But I managed to complete one card out there, a great achievement for me. On Sunday, I managed to draw three cards, one hair ornament, wash rugs, and cycle 20 km. And it could accommodate a lot more. But success in every way for the weekend. In this yesterday's card. 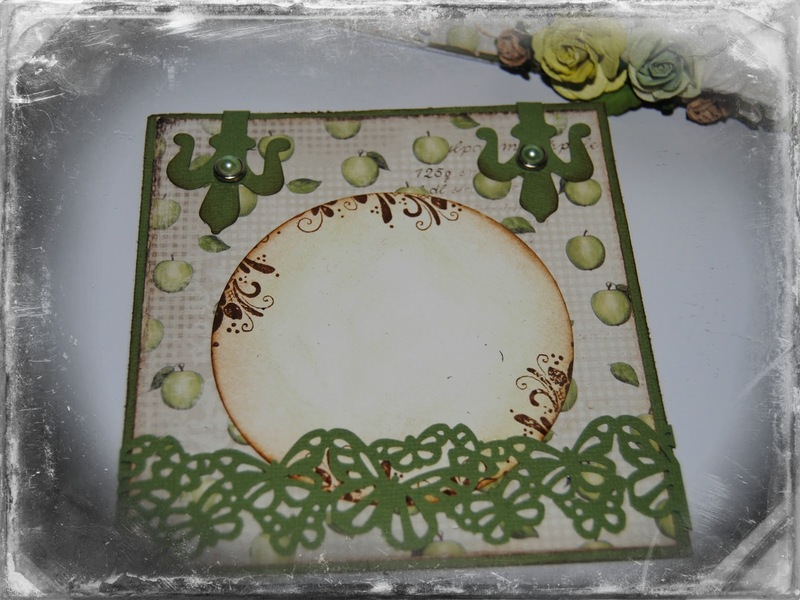 Constantly I am very happy with, perhaps, after all, part;) Before I had not done any of these cards. I like the colors. Coloring Disstress inks. Paper Maja Design. Decorations Wild Orchid Crafts. Have a wonderful week of the beginning. Kovasti ihailen teoksiasi! :) On niiiin hienoja! Wonderful card! Love this Tilda and the colors! Thanks so much for joining us at TOMIC! fantastic card!!!! i love all on it!!! 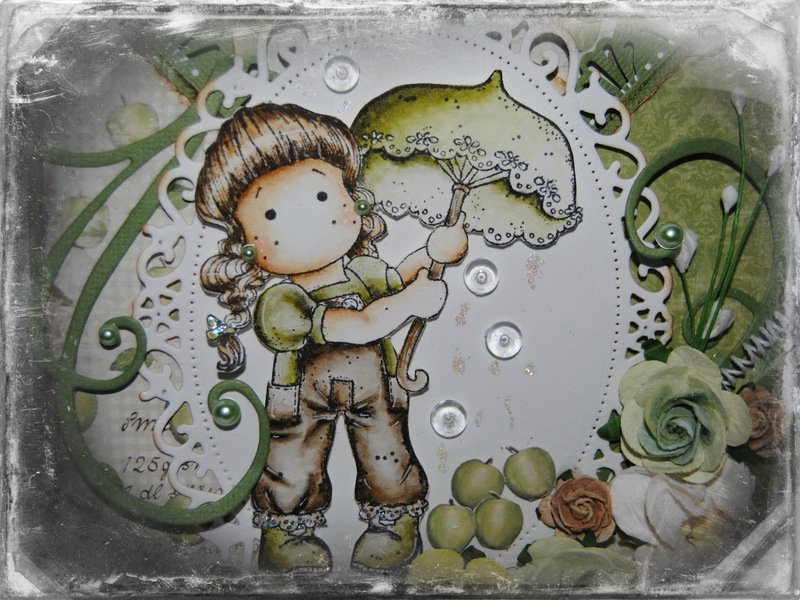 Oh wow this is really beautiful, love this Tilda and your beautiful embellishments and colours. Thank you for sharing with us at Tilda's Town Water theme challenge. 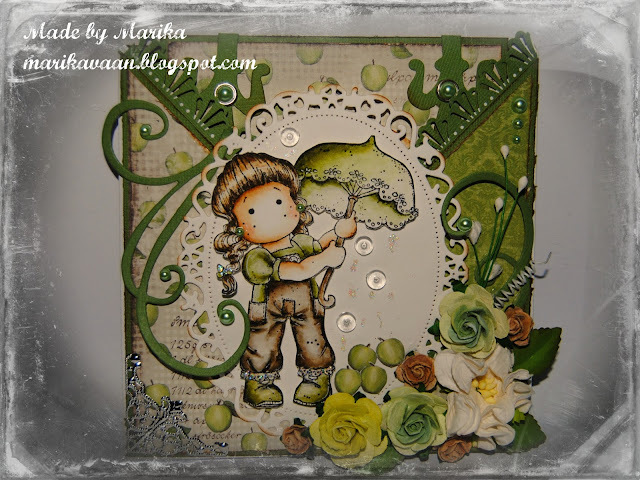 This is such a beatiful card, Marika! Love the colors and the coloring, and the raindrops! Thanks for joining us at Tilda's Town this week. Lovely coloring and designing! 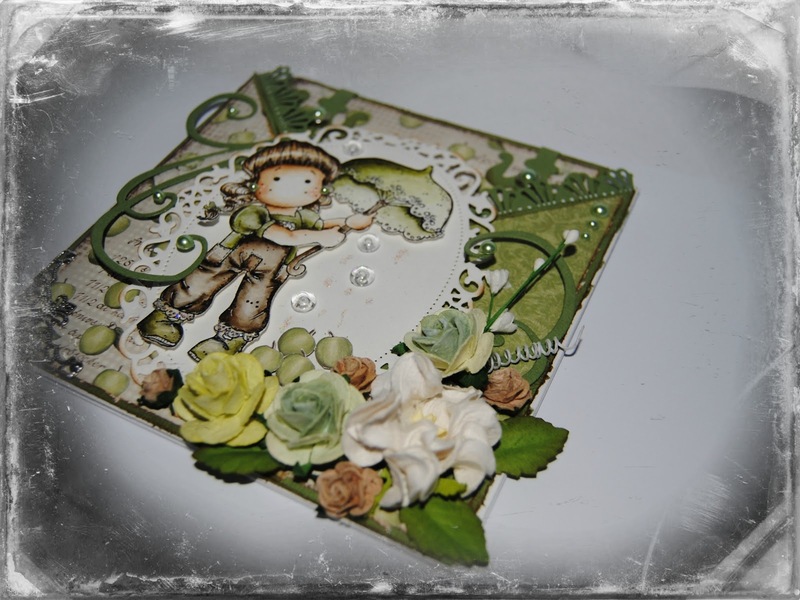 So glad you linked up to Tilda's Town Challenges and shared your awesome creation with us! Thanks for playing!